It’s almost springtime, and we can already start to feel the weather change. The days are warmer and are becoming longer, which are two telltale signs of spring. It’s important to give your garden the very best treatment during the early springtime. If you start your garden right now, everything will be lively and green sooner, and you can put the cold winter behind you. With the right treatments and fertilisers, your garden will grow more vibrantly all summer long. Here are ten ways Gardening Angels will help you prep your garden for spring. It’s important to get organic waste such as dead leaves, twigs, branches, tree stumps, weeds, and dead plants removed from your garden in order for your garden to thrive. With a properly cleared out garden, you can see exactly what you are up against, and it becomes a lot easier to plan out spring garden modifications. Gardening Angels will rake up leaves and clear out organic waste from your garden so you can get rid of the dull winter garden and welcome a fresh, beautiful spring. Now is also a good time to get rid of weeds and unwanted growth in your garden. 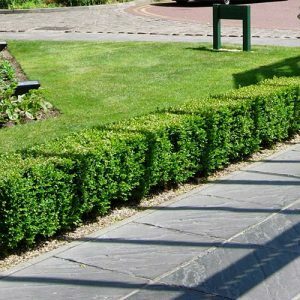 We will help you clear out any plants that shouldn’t be there, as well as any growth that is in the way of your garden. We can also clear out the diseased or withered plants that make your garden look dull and faded. Tree trimming is important during early spring because it stimulates new growth. Tree trimming also gets rid of twigs and branches that didn’t survive the winter. By aerating your lawn, water will penetrate deep into the soil so oxygen and nutrition can reach deep roots and create new growth. This is a technique that is best applied during early spring so your garden can flourish as soon as you start fertilising. If you buy the fertilisers, we will apply them to your entire lawn and your beddings. Springtime is the best time to fertilise because it gives your lawn and plants a boost so they can grow vibrantly. This is also a good time to level out any holes and dents that might have surfaced in your lawn over the winter. We can get these dents and holes filled for you so your garden will look much better. 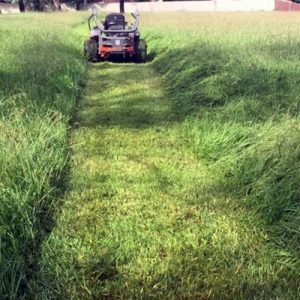 It’s important to regularly mow your lawn so the grass can form a thick carpet instead of patchy high and low growths. Springtime is a great time to ask your gardeners for frequent mowing services. By applying mulch to your beddings, you will keep the sun from evaporating too much moisture from your garden, which helps reduce your water bill and promotes growth in your outdoor space. Mulch also does wonders for the overall look of your garden, especially if you invest in richly-coloured mulch. Gardening Angels can also assist with planning out and creating new flower beds so you can grow new flowers as soon as spring arrives. Spring is the perfect time for new garden plants. Visit your local nursery and get some new plants for your garden. Our team can help plan and plant your new flowers, giving your space the upgrade it deserves. At Gardening Angels, we can help you with any of your gardening needs. For more information on what we can do for you, give us a call today.